High School Homeschooling Tip of the Day (Oct 31) – Happy Halloween! Write, write, write! That’s the last tip of the day for October. Have your high schooler write. Whether it’s a poem for a contest, the Nanowrimo challenge in November, an article or story for your homeschool support group, or an editorial for the local newspaper, have your student write. The more our children write the better writers they become and the less daunting the task of writing becomes. Of course, simply writing doesn’t make your child’s writing better, but you have more opportunities to critique and edit their work the more frequently they do. After my children completed the Nanowrimo (National Novel Writing Month writing challenge at nanowrimo.org) they had written over 30,000 words in 30 days – that’s over 100 pages double spaced – they felt that a 3 page essay was nothing. They were able to shoot out a paper of that size without hesitation or resistance. What a wonderful side-benefit that was in our homeschool. Their typing speed improved dramatically as well! But I am not suggesting that everyone have their children write 30,000 words in November (although it is a good idea). 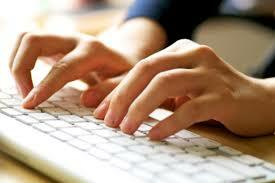 I am simply saying that writing regularly makes the process easier and develops the skills involved. So have them journal, write letters, short stories, and see how creative you can be in the process. Join them and challenge yourself. They will feel less intimidated knowing that you are also doing the assignments. When we read classics in language arts, I’d have my kids try to imitate the style of the authors. In history, I encouraged them to write letters home as though they were on the front lines of the action taking place. In spelling, I had them write silly stories using all their vocabulary words – which was often humorous as they were not always related. Science journals or labs are perfect places to further develop the skill of scientific writing. On standardized tests and in college classes, your children will be asked to write persuasively or comparatively. Having practiced this at home, they will not flinch but get right to brainstorming and outlining. If you feel overwhelmed or inadequately prepared to teach your child these skills, never fear, there are wonderful tutors and writing curricula available for the asking. So, have your children write!